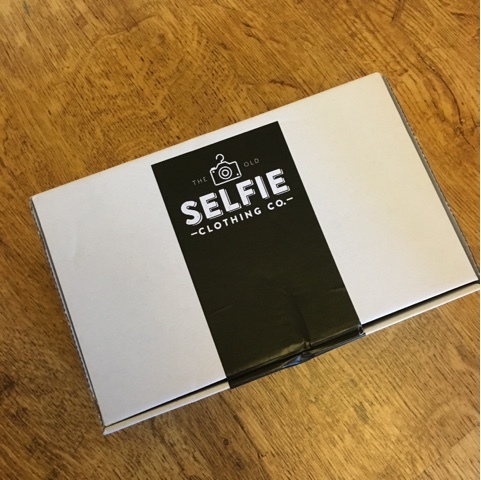 Selfie Clothing T-shirt, I was even happier when it arrived! 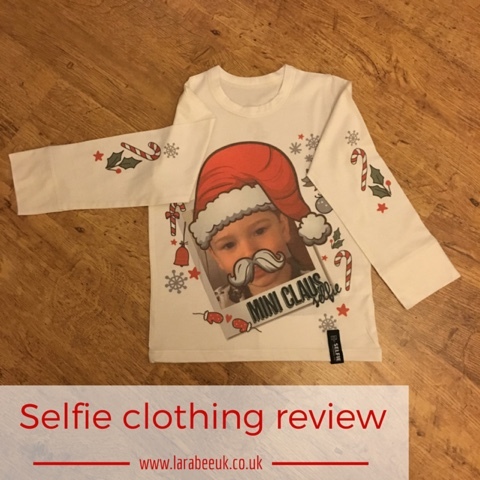 I chose the Mini Claus selfie Christmas design and loaded a 'selfie' photo of T which fitted perfectly. 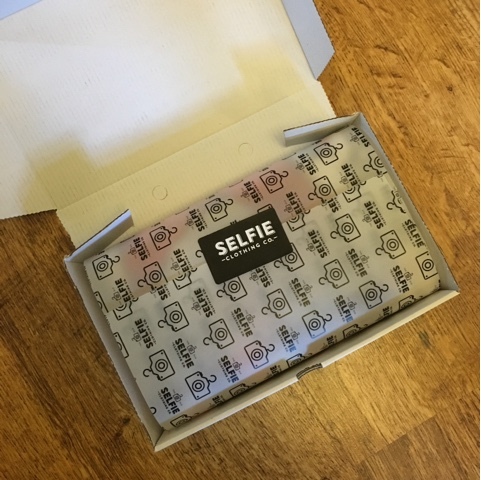 The process is really easy, choose your desired design, load a photo from your phone or Instagram, pay and a couple of days later a beautiful little package arrives, with an even better T-shirt inside! 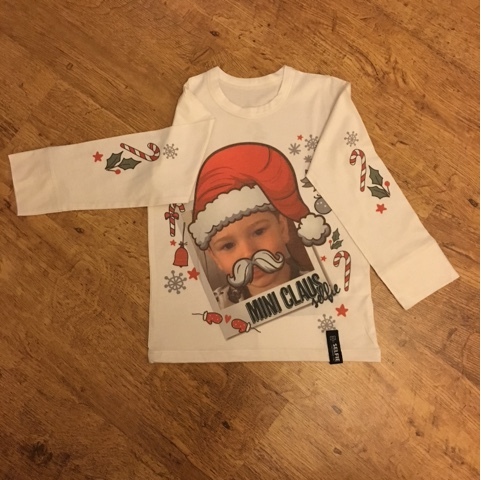 Made from high quality material with a fantastic clear image these T-shirts are a steal at £15.00 in my opinion. However, I can give you an extra 20% off by using code larabee20 (not just for Christmas, it's forever!) so you could order one for £12.00 + P&P. 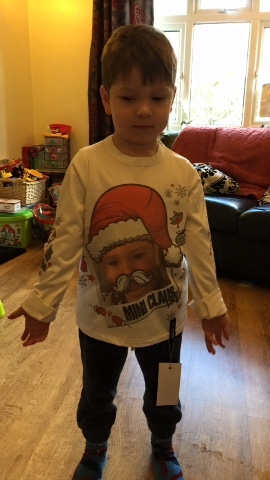 Here's my little man (who's nearly 4) modelling the 4-6 size. As you can see it fits well now, but still has lots of room to grow in the length and arm length. I really love these T-shirts and will most certainly be keeping an eye out for other designs in the future.